I think we need to talk to each other about our spiritual lives. Even though we may respectfully disagree, I believe that peaceful co-existence of all religions – including atheism – depends on this. Hence every now and then I feature interviews or guest posts on Spritzophrenia. You can find other interviews here. If I tried to label my current beliefs in some specific way, the words that come to mind are secular, Buddhist and spiritual, in that order of priority. Being secular doesn’t mean I outright reject religion and say it must be eradicated (technically anti religion), but regard it as something not for me, since I find fulfilment in things that we all share as human beings, as part of the whole world, outside of a temple, the “profane” beings we are born as, only becoming sacred by experience. I believe learning about all the good and bad things in life would enrich our lives a great deal. I can understand people’s religious perspectives as a religious studies’ major, but I don’t agree with them as truth or explicit reality, but simply interpretation through perception. You and I may perceive that a person has a “miraculous” recovery from cancer. You might be inclined to see the supernatural in it; I see the paranormal at best in that it is unexpected, but not absolutely unexplainable by scientific principles and methods. In this way, I am secular because I hold science and sophia (wisdom in the philosophical sense that Aristotle noted) in higher respect than the sacred and supernatural (I love alliteration, don’t you?). Being Buddhist might be too general and easily misunderstood a label, but saying I’m Zen is equally too specific on the flip side. I find more influence in Zen and Ch’an (the Chinese equivalent) thought and philosophy, such as D.T. and Shunryu Suzuki, as well as older monks like Linji (his teaching of non attachment is where I derived my blog name, To Hold Nothing), Dogen Zenji, Takuan Souhou and Ikkyu (notorious for associating with prostitutes as a way to achieve enlightenment). If I had to clarify, I find more truth in Buddhist teachings and beliefs than from Christianity or other religions. Daoism is a close second. I’ve intuited ideas of Buddhism as early as high school, in ideas such as rebirth (not strictly reincarnation), impermanence (a translation of the Sanskrit word “anicca”) and dependent origination. I’ve found I can appreciate things all the more because they are temporary and accept the passing away of people and things in one way or another. I recall both losing a beloved tabby cat to a blood clot and having to wipe my OS a few months ago, though not having to sacrifice my files because of technological advances. More particularly, he notes that the term “spiritual” can be equated with the word mental or psychic. I’d daresay it’s almost aligned with psychology in a sense, though not strictly the scientific, but the philosophical aspects, which connect in a sense with existentialism. I approach life as a series of choices that make the biggest difference, not those things out of my control that I must confront with resignation and anxiety. I am spiritual/existential because I recognize the inevitable connection we must admit of the physical we experience to the mental we take for granted. I’m not spiritual in a mystic sense. I’m spiritual in that I can be introspective and extrospective without focusing on one or the other too much. I don’t think I can synch up the world’s ups and downs the same if I tried to believe there was some consciousness behind things that even remotely cared for humans. My Christian heritage is only partly beneficial to me inasmuch as Jesus’ teachings partly align with Siddhartha Gautama’s and other bodhisattvas. Jesus also said more explicitly concerning corruption that we are not evil because of things outside us; we are evil because of internal dispositions and behaviours we choose (I don’t think of this like sin, though). We may have parts of ourselves that are harder or impossible to alter, but it doesn’t mean we cannot recognize them and seek to better ourselves by personal habits and other actions. In this way, I find Buddhism to be a strong influence on my life and it will probably be until I die. I’ve become more peaceful, calmer and more able to confront people I disagree with on a level that didn’t exist before I seriously considered Buddhism in a larger context of psychology and ethics. I still have my personal flaws (a temper I inherited in part from both my parents, for example), but with Buddhism, I feel more motivated to actually change myself, even if it’s a slow process. I also feel a sort of melancholy in not truly having yet sought out various connections with Buddhists from Asian areas in order to understand their perspective more. I spoke with a Tibetan monk and it was a great eye opener to how much I’ve come to understand the system in only the two years I’ve studied it in detail since I graduated. As a Westerner in many senses, such as most of my education in philosophy and religion, there is a barrier I have to violate constantly in order to affirm the beliefs I find myself drawn to. These beliefs are very different from not only the culture and background I had in my family, but the general frame of reasoning any Westerner uses, which is more based in rationalism, empiricism and Greek philosophy. I do nonetheless find some inspiration from these sources, such as Socrates’ elenchus method and Heraclitus’ more natural formulation of the Logos idea. 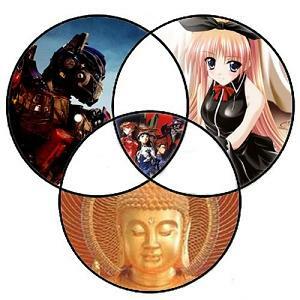 I don’t think that Buddhist values and perspective are so radically different that I cannot coexist and find common ground with theistic Americans. I may approach things with a different perspective or sense of humor, but I can still respect American values of military, patriotism or sports. Or at least respectfully disagree with them. I consider myself a conscientious objector, not just through ethical opposition to violence and war as a tool of the state’s potential abuse to advance itself, but through Buddhist and even Christian philosophy of finding peace with others without the need to resort to violence. I don’t find a terrible amount of inspiration or morale from flying the America flag; any flag, for that matter. I’m actually of the opinion that the occasional destruction of symbols like that is a way for us to relinquish our attachments. Clinging to them can be a justification for unjustified cruelty or negativity towards others. And I’ve never been one to join in team sports, except as a younger child. Now I prefer more individual-centered physical activity, such as the martial arts; Wado Ryu Karate and Tai Chi Chuan are both activities I try to practice often (and fail at being regular at). Writing this has been a great exercise and this second part is still just the tip of the iceberg, I imagine. I’ll be more than happy to answer more specific questions about my beliefs. Thanks for the opportunity to get myself out there. Until next I post, Namaste and aloha to all. Last night I realised life is finite and I will not get to read all the books I would like to. So one must choose the best, obviously. I want to read these, the second one in particular. I suspect they will be of interest to a few of you. I got this one out of the library earlier this year, but had to return it before reading. A summer project, perhaps. 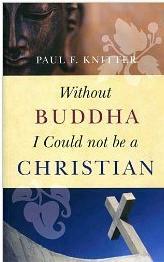 It is possible to be a Christian Buddhist in the context of a universal kind of belief that sits fairly light to both traditions. But Ross Thompson writes, “my own biography has led me to take especially seriously the aspects of each faith that seem incompatible with the other, no God and no soul in Buddhism, for example, and the need for grace and the historical atonement on the cross in Christianity. Hence my Buddhist Christianity can be no bland blend of the tamer aspects of both faiths, but must result from a wrestling of the seeming incompatibles, allowing each faith to shake the other to its very foundations”. The author traces the personal journey through which his need for both faiths became painfully apparent. He explores the Buddha and Jesus through their teachings and the varied communities that flow from them, investigating their different understandings of suffering and wrong, self and liberation, meditation and prayer, cosmology and God or not? He concludes with a bold commitment in which both faiths are combined. Gotta keep writing my thesis. If you haven’t listened to System of a Down, you must! While I’m probably much younger than other guest posters on this blog, I’ve had an interesting journey of beliefs through my almost quarter of a century of life. I was raised mainline Protestant, ranging from Baptist to Methodist to Presbyterian, my parents weren’t picky (except that you had to be mainstream, so no 7th Day Adventists, Mormons or Jehovah’s Witness churches). I was enrolled in a Catholic school for 1st and 2nd grade, going to mass once or twice a week from what I remember, even though I imagine my parents found the complexity of Catholic beliefs objectionable. Like lapsed Catholics and cultural, but not religious Jews, I imagine they regarded the good education itself as more important than minor religious disagreements that could be smoothed over. I crossed myself once after a prayer in my hometown church and the congregation was a bit stunned, though not so much that they couldn’t chalk it up to me imitating what I had been exposed to for about two years. I grew up usually following along with church as a weekly thing until I was about 12 or 13 years old, the common rebellious and curious phase of any child’s life who isn’t smothered with religion. I went to services, even attending youth group and going on the occasional trip for a weekend retreat in West Tennessee. I think those trips might’ve actually sped up my progress to apostasy, since it exposed me to a greater diversity of approaches to Protestant Christianity. My minimal association with Catholic services as a child didn’t stick with me, so I can’t say that I saw any of the sophistication that exists in the Roman Catholic/Eastern Orthodox/Episcopalian areas of Christianity more than any Protestant denomination you could show me. I started on the path to become a more secular and philosophically minded person when I stumbled across Deism through a French class report on Voltaire. After discovering the nature of it, I endeavored to learn more, considering myself a Deist for a few years before looking into other religions, such as Confucianism, Daoism and Buddhism in my junior year of high school through a teacher in a sociology class. She inspired me to think as an individual more than I had ever done in my years of feeling like an outsider even as I was accepted (partly) by the church community my father was raised in. We moved to that church for reasons I’m not quite sure of besides my mother wanting a more down- to-earth spiritual community. That community has recently changed for the worse as myself and other children grew up and either moved to new churches as they started their own families, or in my case, leaving the whole religion for lack of belief. Political squabbling and bickering within the congregation about choosing a new pastor among other superficial things has kept my mother from participating for the most part. My father still attends weekly, possibly in order to maintain the status quo, but also because he genuinely believes it and feels he should contribute to the group. After a while, I began to go beyond Deism and affirm some form of atheism, though at the time I didn’t realize that I leaned more towards apatheism in that while I genuinely believed that the likelihood of there being a God of any sort was very low, I didn’t concern myself with it. My disbelief in God was not for lack of evidence, since I didn’t really seek it out, but practical considerations. God was not relevant or meaningful to my life, since I found more purpose and fulfillment through interactions with humans; especially with people I now consider some of my best friends. Just sharing time at an anime convention for 3 and a half days was an experience in and of itself that compares to a spiritual retreat in some sense. Or at least to the human companionship I’m usually exposed to sporadically, being more private and socially reserved. I don’t doubt my parents’ sincerity in their beliefs, as they’ve had enough combined education and experience with varying belief systems to be relatively secure (though not necessarily sophisticated, but stable). I also have no intent of trying to “convert” them, since I think if they really wanted to investigate other religions, all they’d have to do is ask me, since I’m not in the closet about being a nonbeliever to them when it is pertinent and I have a background in, and significant library of, religious studies. We maintain peace on religious issues now. I used to be very inquisitive and argumentative, which stayed with me until at least my sophomore year in college, which might’ve had to do with getting a more openly atheist roommate who I still respect. I keep my head up during prayers, but I am by no means intrusive about such things, usually staying away from most funerals and weddings unless I’m especially close to the person. My paternal grandmother was recently married (4 years after she was widowed) and my cousin, an especially religious and devout preacher, led the service, reminding me of a particularly bitter flavor of Christianity that was a partial factor in my leaving, since that sort of hyper-evangelical community is not remotely what I’d like to be part of. That same cousin said hurtful things at my paternal grandfather’s funeral, saying atheists have a sad life in not believing there’s anything after death (paraphrasing, of course). My family in West Tennessee is more religious than much of the family in Middle Tennessee; family reunions are almost dreaded by me, since I’m resigned to staying in the back of the chapel. I’m contemplating just slipping out as the service starts this year, since I’m unobtrusive enough that people wouldn’t even notice me leaving; I’d like to appreciate nature in that time, since the area we have our family reunions at recently is sylvan in nature. I also don’t have any real issue with my younger brother reaffirming his Christian faith, having been baptized like me, not to mention exposed to Episcopalian Christianity through his education at a private school. He is still nominally Christian from what I understand, but my parents are happy he has found a spiritual community. I hate to think that they are only proud of his reaffirming Christianity in the context of Cru (Campus Crusade for Christ) because their elder son (me) has apostatized from the faith, but it may be me over-thinking. That lingering thought that my parents think they have failed their child rarely crosses my mind though, since I get the feeling that they believe that Christian adage paraphrased from the Bible that they should “train up a child in the way they should go (Christianity) and when he is old he will not depart from it”. If they took that seriously though, I can only conclude they’d plead to God for intervention, since they failed to truly instruct me in the ways of Jesus. Next time, I’ll discuss some of my beliefs, particularly Buddhist ones, in more detail. Click for more interviews with different faiths here. Why Stay If You’re Gay? Western society has undergone significant social changes around homosexuality in the last thirty years. In New Zealand the Homosexual Law Reform Bill (1986) decriminalised homosexual acts, more recently the Civil Union Act (2004) gave marriage-like rights to New Zealand gay (and other) couples wishing to commit in this way. In the same period there has been change around homosexuality and the church. While change in ‘liberal’ and ‘mainstream’ Christian churches has been ongoing for some time, there is evidence of greater acceptance of gay congregants in US evangelical (Falsani, 2011) and post-evangelical ’emergent’ circles. “It sounds so churchy, but I felt like God spoke to my heart and said ‘[homosexuality] is not a sin.” (Pastor Jay Bakker, cited in Lee, 2006). In New Zealand, similar changes are occurring; “Gay Christian Alliance is a group of gay Christians living in New Zealand who wish to spread the message that it’s OK to be gay and Christian” (2011). I’ve come across a number of gay and lesbian people in the Christian Church. My particular question is why they stay– it seems fairly clear why one would leave. What do they get out of religious faith? What are their motivations? How do they see their identity as gay and Christian? A couple of comments: It’s only the proposal for a short thesis (10,000 words). The full Masters’ thesis is around 40,000 words. Due to academic-speak some of it would need a bit more unpacking for those who aren’t familiar with the ideas. Also note that “sociology of deviance” doesn’t imply a moral judgement, it’s merely a way of talking about people perceived as different, and can be questioned in it’s own right. Initially, I didn’t particularly want to study sexuality, or gays in particular. I want to study sociology of religion, this is merely a way in. Having said that, and having now read a number of studies by gay academics, it’s a fascinating area in itself. To add to the ethical notes in the proposal, I can imagine lesbigays saying somewhat tiredly, “Oh, here come the sociologists with their surveys again.” To be part of a minority means you get questioned by all parts of society, including academia. I have a number of lesbigay and trans friends, and sometimes I feel a bit weird “studying them”. Thankyou all for your comments yesterday, I found them really helpful. In this formulation, I do not imply, for instance, that we should always suppress the utterance of intolerant philosophies; as long as we can counter them by rational argument and keep them in check by public opinion, suppression would certainly be most unwise. But we should claim the right to suppress them if necessary even by force; for it may easily turn out that they are not prepared to meet us on the level of rational argument, but begin by denouncing all argument; they may forbid their followers to listen to rational argument, because it is deceptive, and teach them to answer arguments by the use of their fists or pistols. Debate with the radical Christian Right is useless. We cannot reach this movement. It does not want a dialogue. It is a movement based on emotion and cares nothing for rational thought and discussion. It is not mollified because John Kerry prays or Jimmy Carter teaches Sunday school. Naive attempts to reach out to the movement, to assure them that we too, are Christian or we, too, care about moral values, are doomed. This movement is bent on our destruction. The attempts by many liberals to make peace would be humorous if the stakes were not so deadly. These dominionists hate the liberal, enlightened world formed by the Constitution, a world they blame for the debacle of their lives. They have one goal– its destruction. These quotes make me uncomfortable. 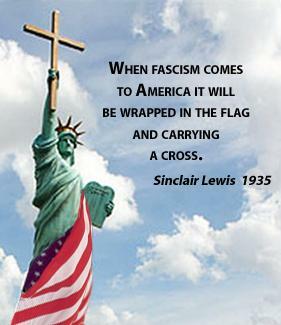 What would we think if it was the Christian Right saying this about us? Is it true that the only exception to tolerating all, is not to tolerate the intolerant? Here’s another personal story from me. This was originally published as a guest post at my Texas friend Dave’s Agnostic Pentecostal. I use a bit of Christian jargon, hope it makes sense. Anyway, on the night in question Redfords LaGrange called for those engaged in youth ministry to come up; he was going to pray for them. I walked up the long aisle into the spotlights along with about 50 others and we stood in a line along the front. Now, when you’ve got 50 people to pray for individually and you’re a preacher with no time to spare, you have to kind of rush along the line and spend about 15 seconds with each person. You don’t have time to even ask the person’s name. As Redfords was coming, I prayed “God, I’m open to anything you want to do. Do anything you want to me. Make me fall over if you want, only please let it be you and not psychology.” I’d been praying that all the way down the aisle too. Let me say, I was very sincere about both things. I wanted a touch, but only if it was real. Mark Vernon migrated from christian clergy to atheist, and now calls himself an “agnostic christian”. He’s an advocate of silence and not-knowing. Vernon says it’s important to draw a clear line between silence and an experience of ecstasy. ~ After Atheism, p 120. So what do I make of this? As it happens, in the course of many other meetings I’ve never fallen over. I’m not a hater; I believe that if God was there, then my prayer was honoured. I also have a funny feeling that at least some of those people fell over because they felt they had to, or look unspiritual in front of the audience. Have you ever felt left out when others all seemed to be getting blessed? What did you make of it? If you want to see what this stuff looks like, check out these funny videos. Will You Take The Pain I Give To You? Yesterday we looked at pain in Genesis, and discussed the Christian idea of the distortion of the world, the breaking-down which theologians call “the Fall”. Remember, I’m agnostic, but I’m wearing my Christian hat today. Matthew Fox is one modern heretic who focuses on Original Blessing rather than original sin, as do Jewish theologies, but I see this as the other side of the paradox. Humanity, and all of nature are full of good, as well as broken-ness. We can hold this alongside the belief that pain came into the world very early on. “Fall” has a nice Autumnal feel about it don’t you think? 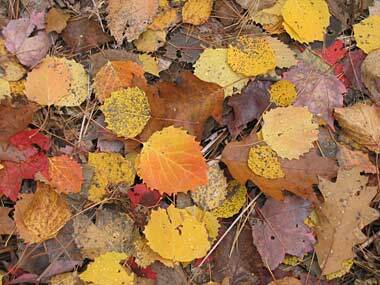 The leaves are no longer green, they retain their structure but are beginning to die. Literalists claim there was no death before the fall. Conceptually, it’s rather hard to see how Eden could have been anything like the forests of today without leaves dying and rotting to provide mulch and minerals, to give one small example. Can theistic evolution cope with the pain inherent in an evolutionary view? Does Dawkins paint his story rather too thickly? My suggestion at this point is to hope that perhaps less “conscious” beings than humans don’t truly “suffer”, in the way that we do? A purely materialist universe, as Dawkins says, is pitiless, indifferent and cruel. The problem of pain and evil is not an easy one for theists either. It’s something I’ve pondered for many years, even as an agnostic. Philosophy is not a static field and I understand, contrary to popular belief, that the weight of argument is in theists’ favour at present. Check out contributions by Swinburne, Plantinga, contributors to God and the Philosophers and others. Ergo the problem of evil is not a proof against God, it’s at best a probability. More on this another time. However, when considering the horrors of suffering, the recent floods in Pakistan for example, I always keep in mind two approaches: One can cope with suffering via the intellectual path or the emotional path. (Most likely a mixture of the two.) Even if I present a watertight case defeating the argument from evil, this won’t satisfy someone whose friends have recently died of disease, or remain permanently disabled. Knowing the arguments didn’t satisfy me, after all, when I merely experienced betrayal and a broken heart some years ago. It was this which caused me to walk away from God. If we know the intellectual reasons I believe this may help, in the big picture. However, when in pain, we don’t want sophistry, we want comfort and strength. On that note I recommend Philip Yancey’s modern classic Where Is God When It Hurts?. It’s a profound book and I rate it highly. Buddhism takes the reality of suffering as one of its foundational starting points. Alternately, I believe if there is some kind of pure Being there, who knows us intimately, then this g0d somehow shares in our suffering, and the suffering in nature. How do you think about suffering and spirituality? Does a higher power disgust you, or help you when you think about these things? This is part three of a series, starting with part one. Doesn’t Genesis teach there was no pain and suffering until the fall, and therefore evolution cannot have been the mechanism? Christians, Jews and to a lesser extent Muslims, all take their origin story from Genesis. At a particular point in the tale the human race is flourishing and then everything goes wrong. Humans make Promethean choices that separate them from God, and like all choices there are consequences, much like choosing to jump from a cliff. Christians call this “the fall”. In a literal interpretation— the approach anti-evolutionists normally favour— this clearly implies pain before the fall. Note the phrase “greatly increase”. In other words, there was pain before the human representatives made their choice, it just wasn’t so bad. On a literal interpretation, pain was around even in Eden. And that’s really the only point I want to make today. There are some people who rather enjoy a bit of pain (see below). Will you take the pain… I give to you? How do you think about physical pain and the meaning of life?